Cuisine by Claudette – Claudette has been cooking under the tutelage of various culinary experts for over 35 years. Traveling throughout Europe and Northern Africa, Claudette has honed her skills as a culinary chef. She has spent the last 12 years lovingly feeding the community of Rockaway. Featured on her menu this year are her signature turkey slider, falafel and salads. Ed & Bev’s – Chef siblings Max and Eli Sussman (formerly of Roberta’s and Mile End) will be returning with their Detroit-style diner with a menu that focuses on coney dogs along with familiar Greek and American specialties that are made from scratch. Fletcher’s BBQ – Bill Fletcher and his team will be smoking their own fare over maple and red oak in a BBQ pit beside the Bay 9 Pavilion. Ribs, pulled pork or BBQ wings anyone? Ample Hills Creamery – a second location at Bay 9, in addition to the Bathhouse. Best Ice cream and sorbet around! 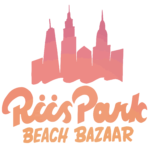 Rockaway Clam Bar – Rockaway local Susan Povich, of Red Hook Lobster Pound fame, is back at Bay 9 this summer with more delicious seafood centric fair such as fried shrimp and clam rolls. (New!) Pizza Moto – Wood fired pizza returns to Bay 9 West! Dave Scarlow is bringing his signature Neapolitan style pizzas to Riis Park and we’re stoked! (New!) Super Burrito, Playa Del Riis – Sam Neely and Eugene Cleghorn’s much hyped San Fran style burrito can be found this summer at the Bay 6 shack right beside the Old Wise Clock. This Burrito is official. (New!) Two Dudes – Domenic Boero and Tyler Wright, managers at Rippers and the 86th Street Boardwalk concession are starting their own restaurant dedicated to the classic California roadside burger. Also on the menu, veggie burgers, fries and wings. Find tem at the retrofitted cargo container at the Bay 2 concession stand, on the far east end of Riis. Sausage Hero – Enjoy kosher sausages from Sausage Hero. ByTheBeachCocos – Childhood friends Mikey Reen, Dylan & Ryan Sirgiovanni founded their coconut stand to bring the vibe and feel of tropical beaches to their little strip of urban paradise. They are all born and raised Rockaway natives. Their Young Thai Coconuts are always fresh and cold. (New!) Warung Roadside – Warung recreates the Bangkok street cart experience with delicious Pad Thai and Thai BBQ made in a way that honors Thai traditions. Find them on weekends in their truck at Bay 14, on the far west end of Riis, closest to Fort Tilden. Oaxaca Tacos – Traditional and inexpensive Mexican fare inspired by the flavors and ingredients of Oaxaca. Look for their brightly colored truck stationed closest to Fort Tilden!